VH-TLA. 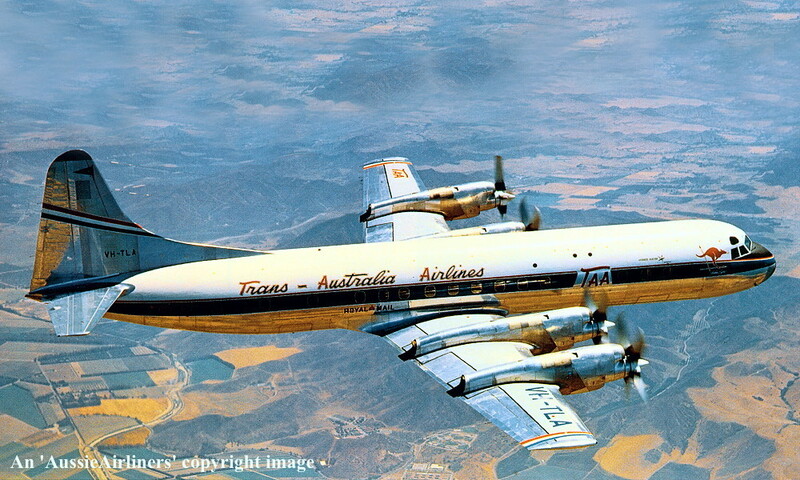 Lockheed 188A Electra. c/n 1061. 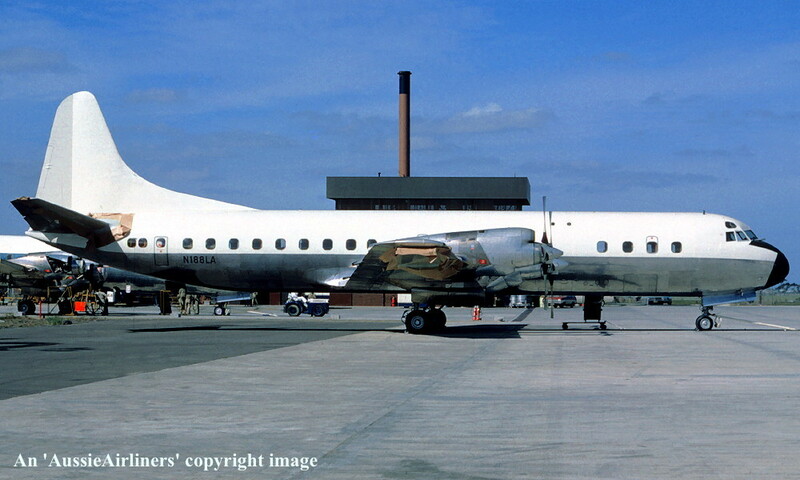 VH-TLA. 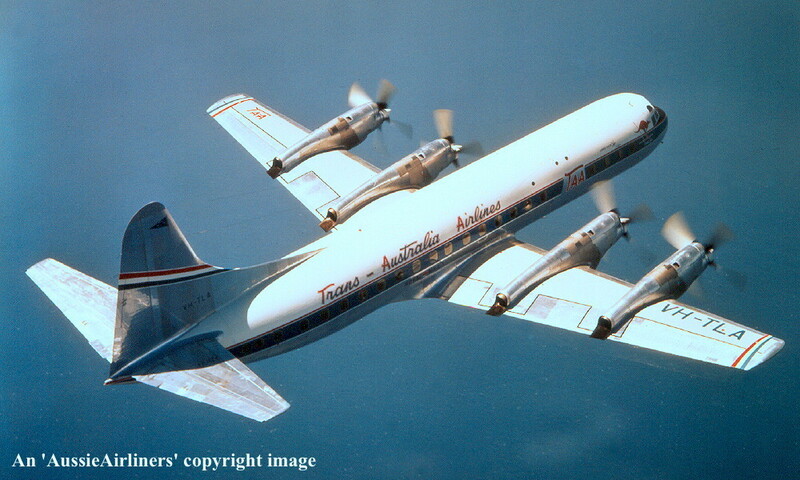 TAA Trans-Australia Airlines - 'John Eyre' in the original livery at an unknown location, June 1959. VH-TLA. 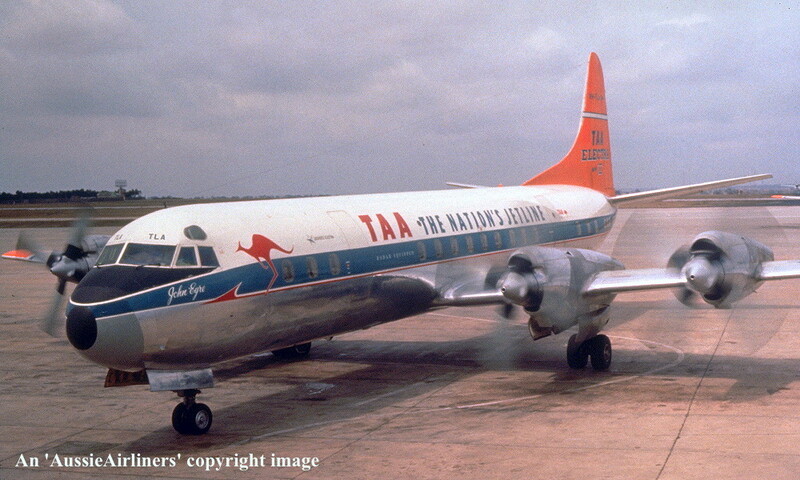 TAA Trans-Australia Airlines - 'John Eyre' in the original livery at Melbourne Essendon Airport, June 24, 1959. VH-TLA. 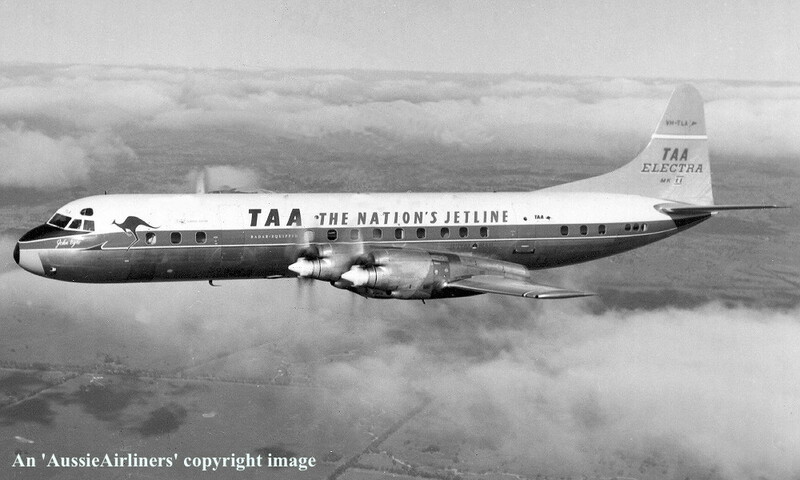 TAA The Nation's Jetline - 'John Eyre' in the 'dayglow' livery at Brisbane Airport, circa 1961. 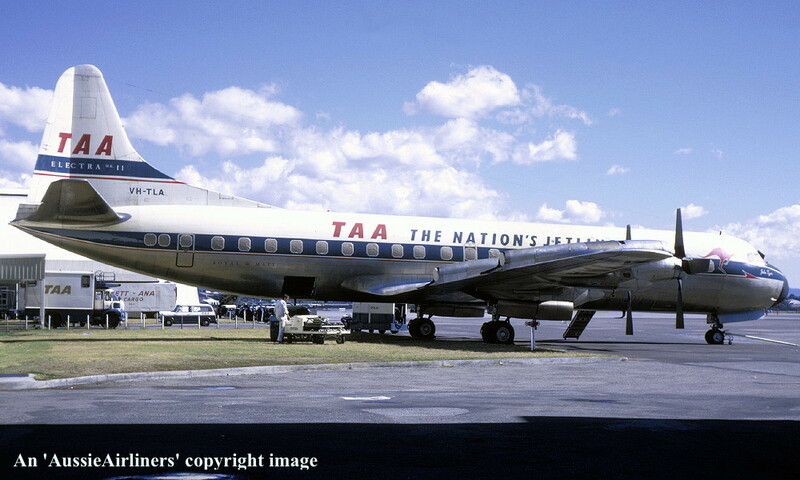 VH-TLA. 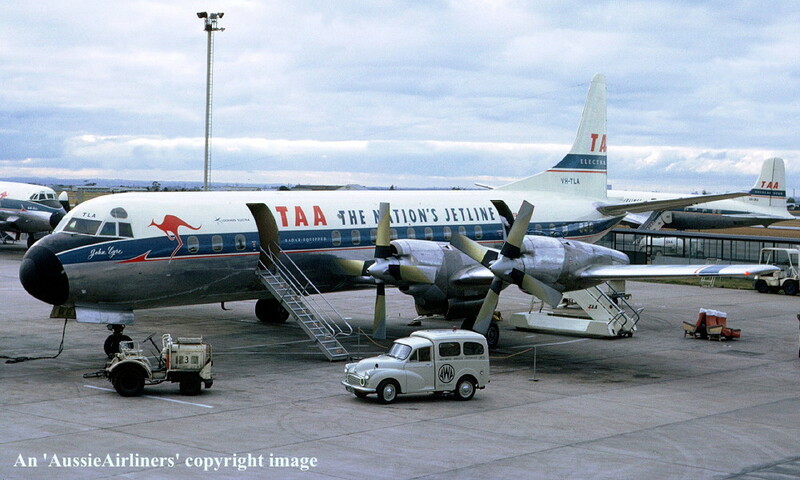 TAA The Nation's Jetline - 'John Eyre' in the 'dayglow' livery at Sydney Kingsford Smith Airport, June 1962. VH-TLA. 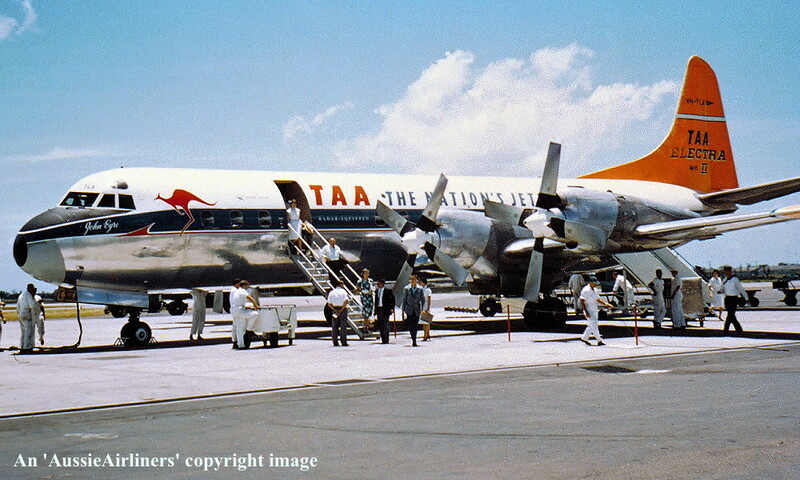 TAA The Nation's Jetline - 'John Eyre' in the 'dayglow' livery at Brisbane Airport, July 1962. VH-TLA. 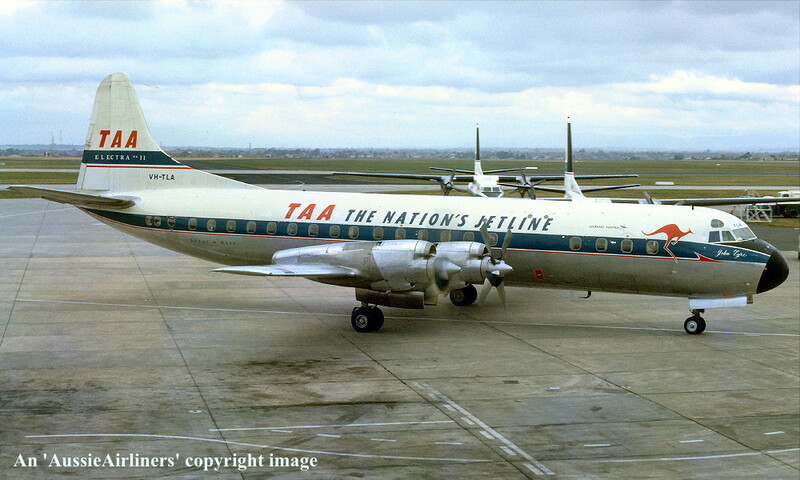 TAA The Nation's Jetline - 'John Eyre' in the 'dayglow' livery at an unknown location, July 1962. VH-TLA. 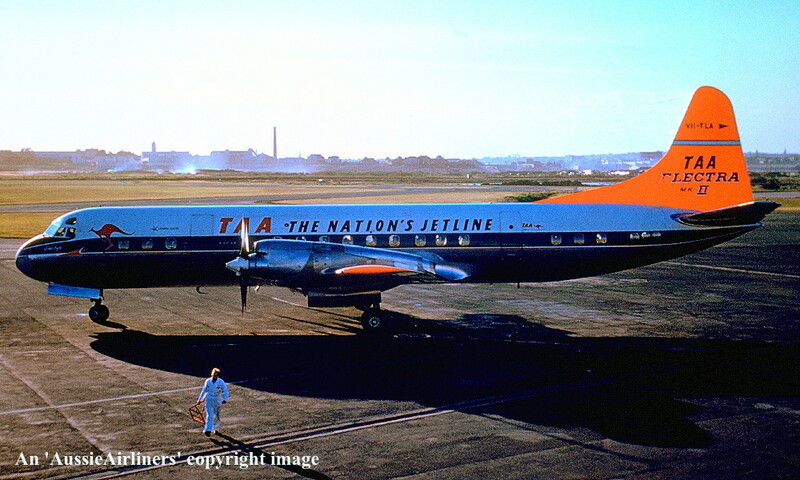 TAA The Nation's Jetline - 'John Eyre' in the 'dayglow' livery at Brisbane Airport, circa 1962. VH-TLA. 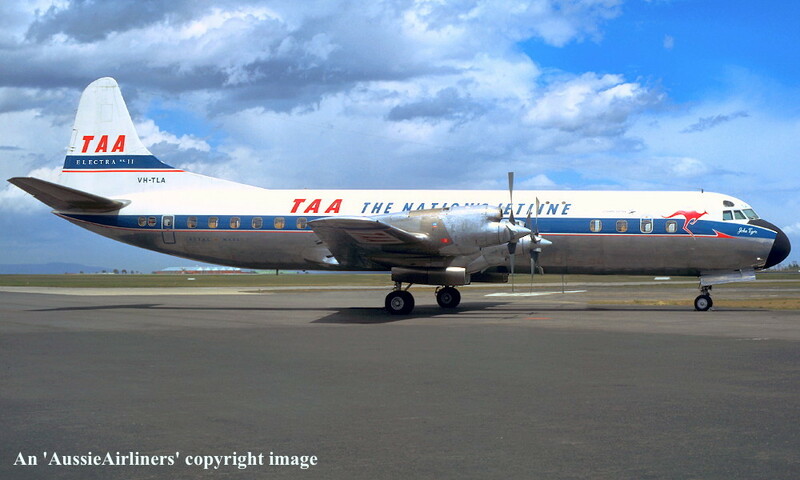 TAA The Nation's Jetline - 'John Eyre' in the standard livery at Melbourne Essendon Airport, July 1966. VH-TLA. 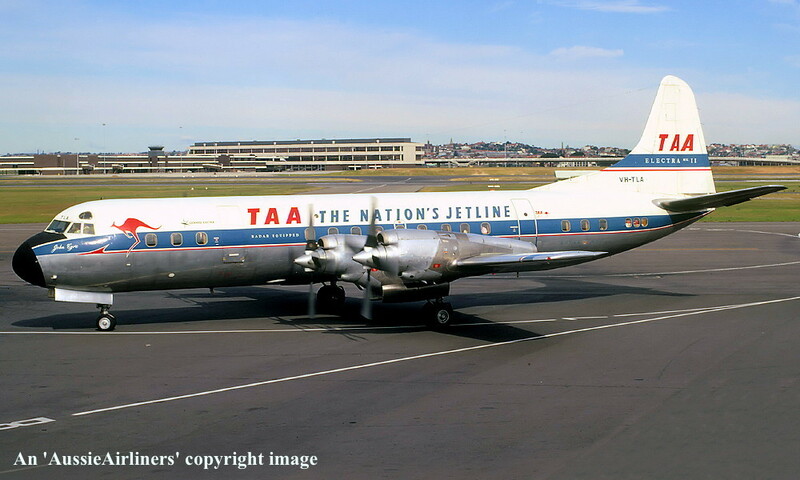 TAA The Nation's Jetline - 'John Eyre' in the standard livery at Sydney Kingsford Smith Airport, December 1966. VH-TLA. 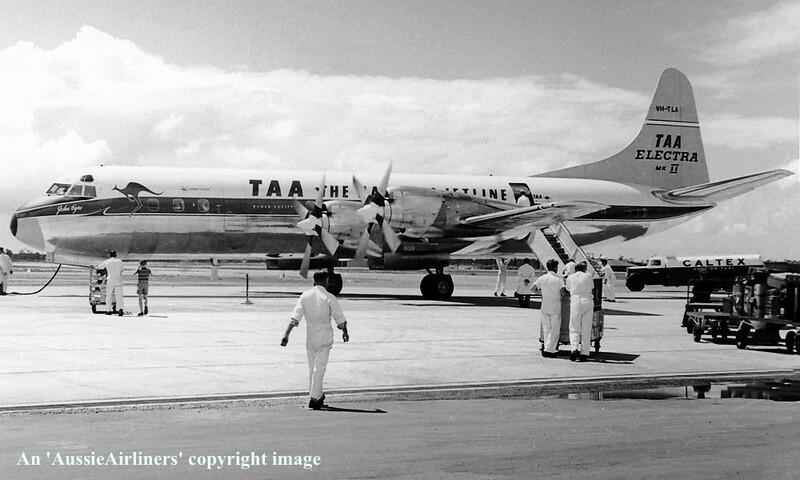 TAA The Nation's Jetline - 'John Eyre' in the standard livery at Brisbane Airport, December 29, 1966. VH-TLA. 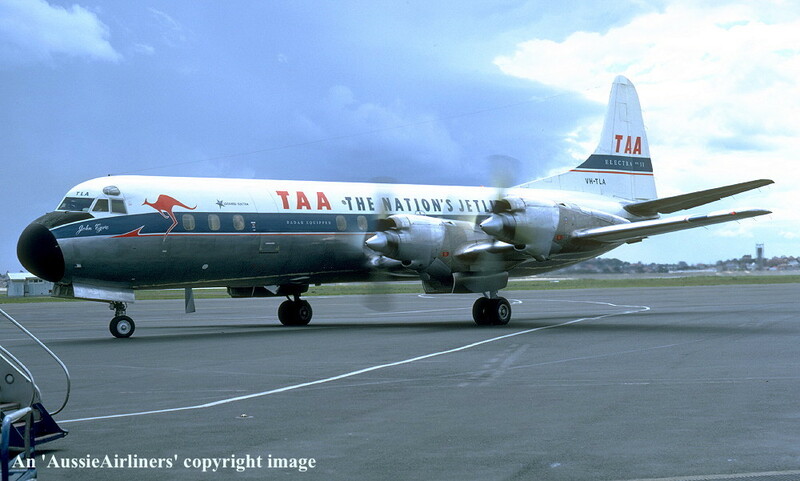 TAA The Nation's Jetline - 'John Eyre' in the standard livery at Melbourne Essendon Airport, June 1967. VH-TLA. 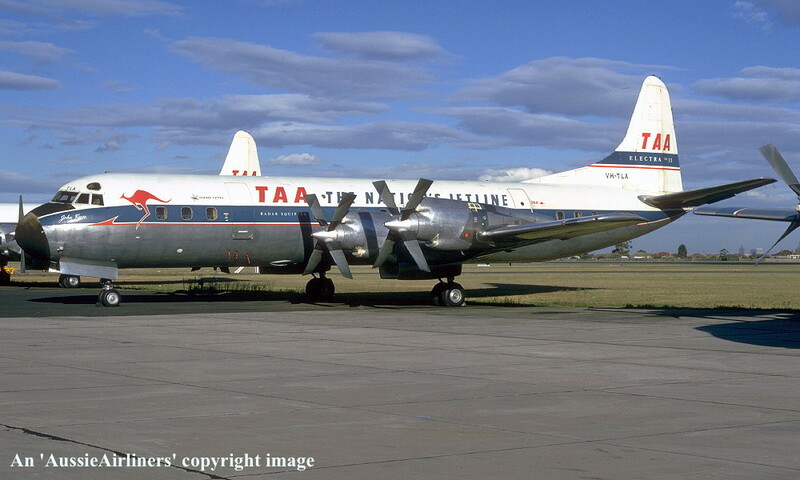 TAA The Nation's Jetline - 'John Eyre' in the standard livery at Melbourne Essendon Airport, January 1968. VH-TLA. 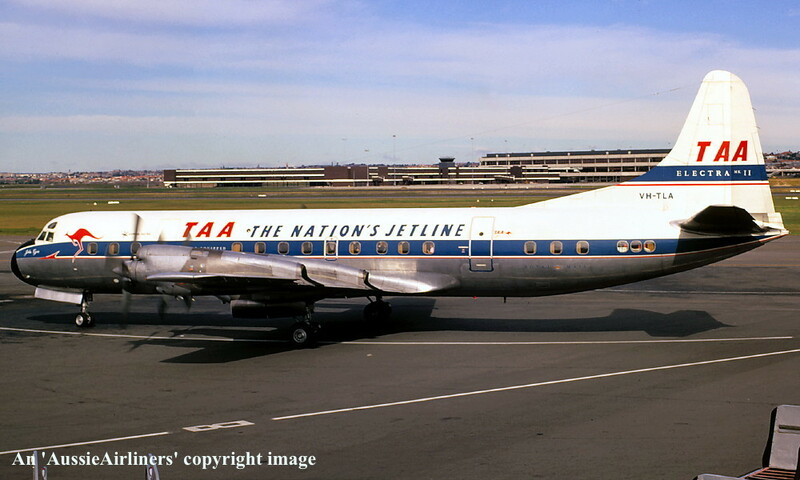 TAA The Nation's Jetline - 'John Eyre' in the standard livery at Sydney Kingsford Smith Airport, April 1970. VH-TLA. 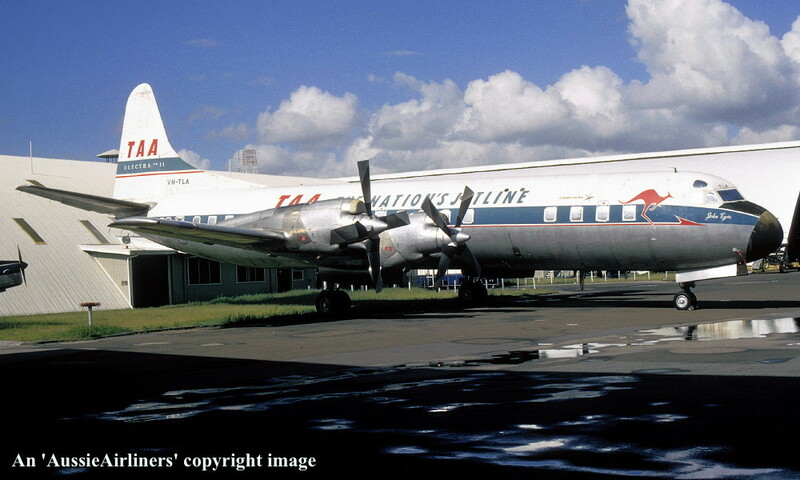 TAA The Nation's Jetline - 'John Eyre' in the standard livery at Brisbane Airport, December 1971. VH-TLA. 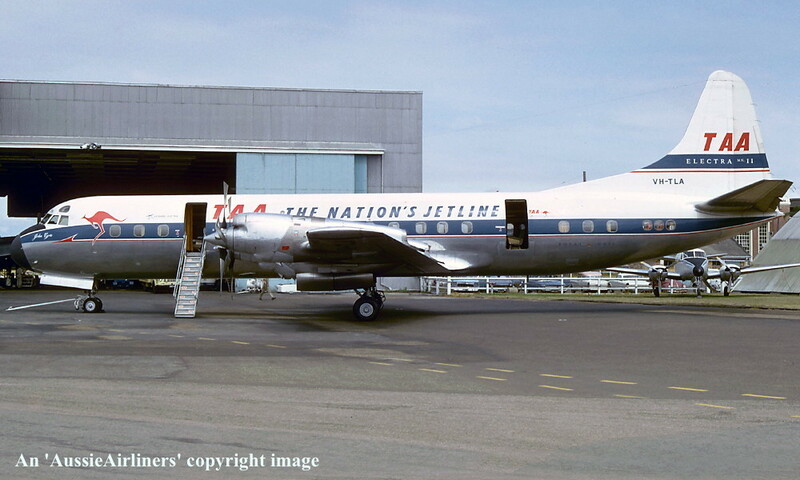 TAA The Nation's Jetline - 'John Eyre' in the standard livery at Melbourne Essendon Airport, February 1972. N188LA. 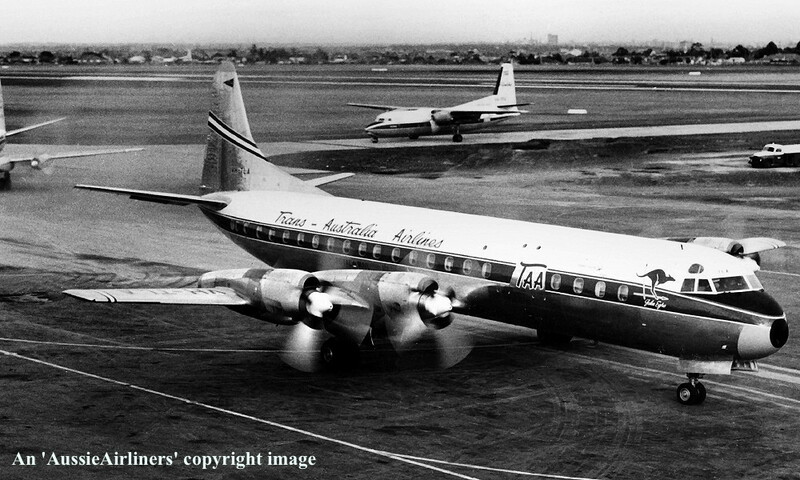 Concare Aircraft Leasing - in the all-white livery at Melbourne Tullamarine Airport, March 1972. N188LA. 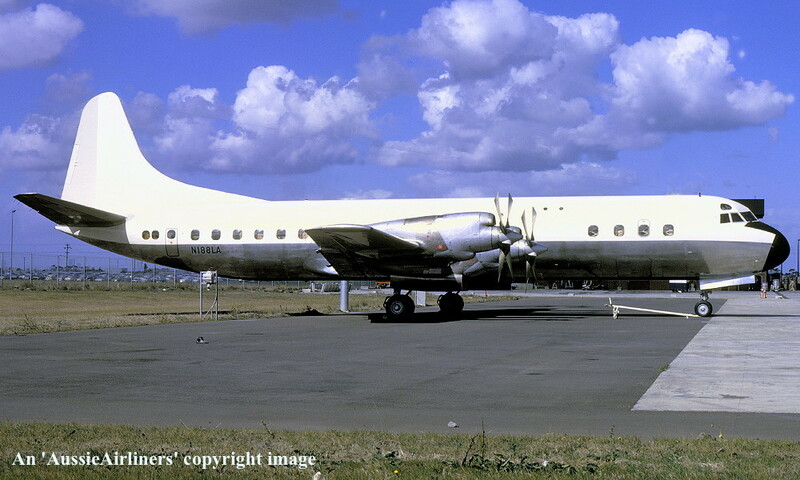 Concare Aircraft Leasing - in the all-white livery at Melbourne Tullamarine Airport, April 1972. XW-PKA. 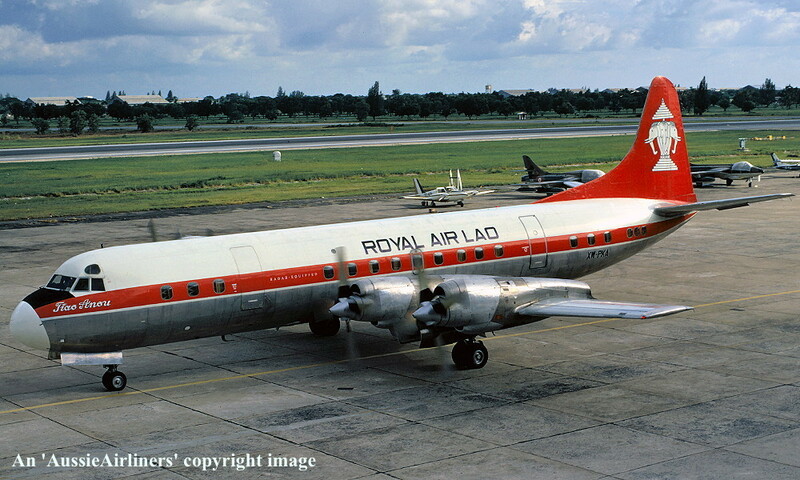 Royal Air Lao - 'Tiao Anou' in the standard livery at Singapore Airport, November 1972.